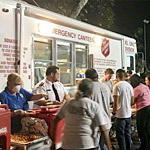 The Salvation Army continues to provide meals at evacuation centers in Sonoma County and Napa. The Salvation Army of southern Nevada is providing emotional and spiritual care to those affected by Sunday night’s mass shooting in Las Vegas. 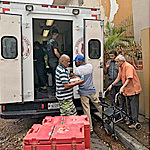 The Coca-Cola Foundation is providing \$1 million to The Salvation Army to help provide food and shelter in areas impacted by Hurricanes Irma and Maria. 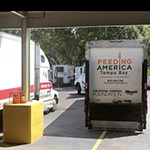 Help Continues Despite Shortages. The charity shifts into overdrive to provide resources and care in the aftermath of Hurricane Maria & Irma. A 7.1-magnitude earthquake has caused the collapse of buildings and other infrastructure in and around Mexico City. 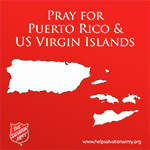 These have been difficult days for those impacted by the reality of the natural disasters that have struck in many areas of our country - and beyond. 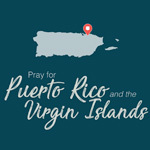 Families and individuals in Puerto Rico and the Virgin Islands are having to face another round of potential devastation, threatened by Hurricane Maria. 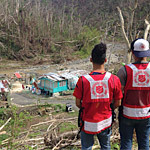 The Salvation Army is partnering with state partners to support families and individuals who may be impacted by the storm. 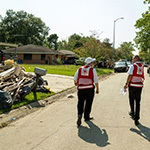 Salvation Army units across the state are leaning in, ready to serve the affected communities with simple comforts: food, water and compassion. 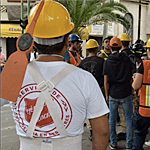 The Salvation Army is supporting one of the largest disaster relief operations in its history.